An acoustic neuroma is a benign (noncancerous) tumor. It grows on the acoustic nerve, which runs from the brain to the ear. This type of tumor typically grows slowly. It may cause hearing loss, balance problems, facial numbness, and headaches. This approach is often used when you already have significant hearing loss. The mastoid bone (part of skull) and bone in the inner ear will be removed. This allows access to the ear canal and the tumor. An opening will be made in the skull behind the ear. This approach is used for large or small tumors. It makes it easier to see and protect the nerves during surgery. Acoustic neuroma removal – How Long Will It Take? 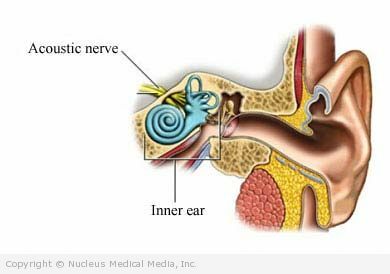 Acoustic neuroma removal – How Much Will It Hurt? Anesthesia will prevent pain during the procedure. You may notice pain after the procedure. Talk to your doctor about medicines to help manage the pain. Do not drive until your doctor allows it. Ask your doctor when you will be able to return to work. Ask your doctor when it is safe for you to shower, bathe, or soak in water. Full recovery typically takes 4-6 weeks. MRI scans will be done regularly over the next several years. The scans will check to see if the tumor returns.